Katie Cavera has made a name for herself on the West Coast and in Europe playing 20’s and 30’s classic jazz. She is a rhythm guitar specialist in the style of Freddie Green and Al Casey. She also plays hot 20’s plectrum and tenor banjo, New Orleans style string bass, and sings in the 20’s pop style of Helen Kane and Ruth Etting. Since moving to Southern California, Katie has become a sought-after guitarist, banjoist, and bassist. Her credits include working with Jug Band legend Jim Kweskin, Jim Cullum’s Jazz Band at The Landing in San Antonio, Texas, and members of Turk Murphy’s Jazz Band including Bob Helm, Leon Oakley, and Ray Skjelbred. From 2006 – 2009 she was part of the Jerome Savary production of &quot;à la recherche de Josephine (Looking For Josephine)&quot; a musical about New Orleans Jazz, Hurricane Katrina, and Josephine Baker. Katie played guitar and tenor banjo in the production, and notated the original score written by David Boeddinghaus. The musical premiered at the Opera Comique in Paris, and then toured France as well as Spain, Austria, and Germany. 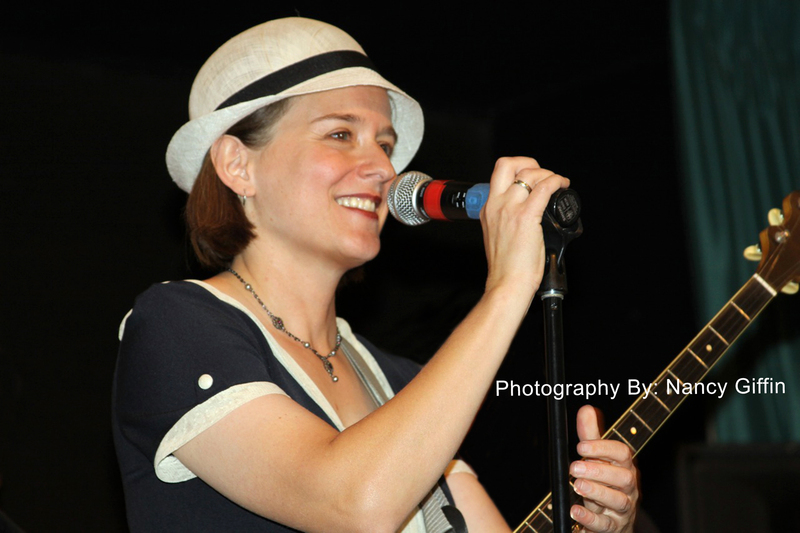 In 2003 Katie began teaching banjo and guitar at the San Diego Adult Traditional Jazz Camp. She currently teaches at this yearly event as well as the New Orleans Traditional Jazz Camp. Jazz critic Jim Leigh and bandleader/multi-instrumentalist Clint Baker have dubbed her the “California Sunshine Girl” because of her upbeat singing style and sunny stage personality. She currently works at Disney California Adventure as a bassist and vocalist with The Pixarmonic Orchestra which premiered this summer at Disneyland’s Pixarfest. The band plays music from Pixar films in the style of Spike Jones.